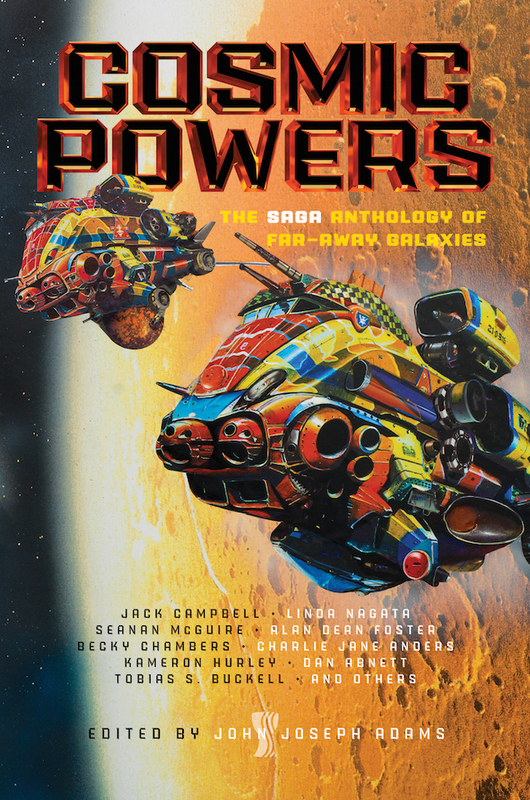 "Unfamiliar Gods," by Adam-Troy Castro [bio] and Judi B. Castro [bio] (edited by John Joseph Adams), appeared in Cosmic Powers (RSR review), published on April 18, 2017 by Saga Press. Pro: The descriptions of the terrible things the different gods do are fascinating and chilling. The logic of the captain’s situation is clear, even though it’s awful. The one uplifting element is the way the Captain doesn't give up, even after the terrible conclusion. He struggles on with what he has. The names of people and gods are typically allusions to famous works of SFF or horror. Con: The descriptions of the terrible things the different gods do goes on too long. The final outcome is horrible, and depressing. For me this was more of a shaggy dog story than anything else. I'd have preferred a different story from the same setup. I was only going to give it three stars, but I couldn't get it out of my mind. Since "memorable" is something we look for, I decided to go with four. But I definitely see your point. Ok, memorable is pretty reasonable, but I can't say it's stuck with me in the same way.